Posted on November 30, 2017 Author KibetCategories Free Travel Kindle Books, memoir, TravelersLeave a comment on Kindle Travel Deals for Wednesday! Posted on November 29, 2017 Author KibetCategories Biographies, Free Travel Kindle Books, history, TravelersLeave a comment on Kindle Travel Deals for Tuesday! *Wayfinding Part 1: Rats and Rafts (Kindle Single) by Hugh Howey. Price: Free. Genre: Nonfiction, Travel. Rated: 4.5 stars on 25 Reviews. 22 pages. ASIN: B010KG8ZKA. Posted on November 28, 2017 Author KibetCategories Free Travel Kindle Books, history, TravelersLeave a comment on Kindle Travel Deals for Monday! 6 Wonderful Free Kindle Travel Books for Saturday! *Blue Into The Rip (Deal, Not Free) by Kev Heritage. Price: $4.49. Genre: YA Time Travel Science Fiction Deal, Sponsor, Space Travel. Rated: 4.6 stars on 54 Reviews. 430 pages. ASIN: B00GBVMNAW. *Living Abroad Successfully: What Where When How by Rachel Smets. Price: Free. Genre: Non Fiction, Sponsor, How To Travel, Living Aboard Successfully, TED Speaker. Rated: 5 stars on 24 Reviews. 186 pages. ASIN: B076F9Z9FP. 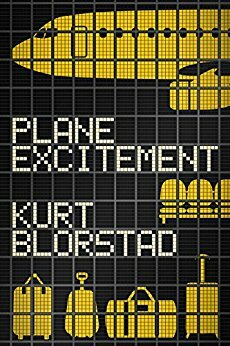 *Plane Excitement by Kurt Blorstad. Price: Free. Genre: Biographies & Memoirs, Sponsor, Travel Writings. Rated: 5 stars on 1 Reviews. 103 pages. ASIN: B0748M7FKW. ISBN: 0692920250. *Barcelona: Barcelona Travel Guide: 101 Coolest Things to Do in Barcelona (Spain Travel Guide, Barcelona City Guide, Budget Travel Barcelona, Travel to Barcelona) by 101 Coolest Things. Price: Free. Genre: Nonfiction, Travel, Specialty Travel, Budget Travel. Rated: 4.6 stars on 11 Reviews. 42 pages. ASIN: B077CN1WG8. What is AirBNB? : The new travel alternative replacing hotels by Mario Robertson. Price: Free. Genre: Nonfiction, Travel, Specialty Travel, Spas. Rated: 4.5 stars on 13 Reviews. 56 pages. ASIN: B0772ZF97N. Posted on November 26, 2017 Author KibetCategories Biographies, Budget, Free Travel Kindle Books, memoir, TravelersLeave a comment on 6 Wonderful Free Kindle Travel Books for Saturday! *ON THE OPEN ROAD: Three Lives. Five Cities. One Startup. by Stuti Changle. Price: Free. Genre: Nonfiction, Travel, Food, Lodging & Transportation, Auto & RV Travel. Rated: 5 stars on 4 Reviews. 214 pages. ASIN: B0778V79L6. *A Girl in Bangkok: The Solo Girl’s Travel Guide (2017/2018) by Alexa West. Price: Free. Genre: Nonfiction, Travel, Specialty Travel, Budget Travel. Rated: 5 stars on 4 Reviews. 116 pages. ASIN: B077G9XCZR. Italy: Essential travel tips – All you NEED to know (Italy Travel Guide on Rome, Pisa, Florence, Venice, Milan, Capri) by Sam’s Travel Guide. Price: Free. Genre: Nonfiction, Travel, Europe, Italy, Milan. Rated: 4.7 stars on 9 Reviews. 56 pages. ASIN: B0775ZKYGL. On the Spooky Trail: Travels in Supernatural Wales by Virginia King. Price: Free. Genre: Biographies & Memoirs, Nonfiction, Travel, Europe, Great Britain, Wales. Rated: 4.1 stars on 4 Reviews. 33 pages. ASIN: B074W5PWK8. Posted on November 22, 2017 Author KibetCategories Biographies, Budget, Free Travel Kindle Books, memoir, TravelersLeave a comment on Kindle Travel Deals for Tuesday! ***MEINAIER Black Mask Purifying Peel Off Charcoal Mask Blackhead Remover Mask Deep Pores Cleansing Face Mask by Meinaier. Price: Free. Genre: Nonfiction, Travel. Rated: 5 stars on 200 Reviews. ASIN: B077HY87CL. Posted on November 21, 2017 Author KibetCategories Free Travel Kindle Books, TravelersLeave a comment on Kindle Travel Deals for Monday! *Gaijin Girl: Stories of a Curly-Haired Sensei by Beth Matuska. Price: Free. Genre: Nonfiction, Travel, Asia, Japan. Rated: 5 stars on 4 Reviews. 93 pages. ASIN: B074TY12L9. *Ragnar Lothbrok: A Biography of Ragnar Lothbrok, A Viking Warrior and King by Adam West. Price: Free. Genre: Biographies & Memoirs, Sports & Outdoor, Adventurers & Explorers, Travel, History. Rated: 4.6 stars on 25 Reviews. 41 pages. ASIN: B076YYXTRG. Posted on November 18, 2017 Author KibetCategories Biographies, Free Travel Kindle Books, history, memoir, TravelersLeave a comment on Kindle Travel Deals for Friday! I loved this book, it touched me deeply! 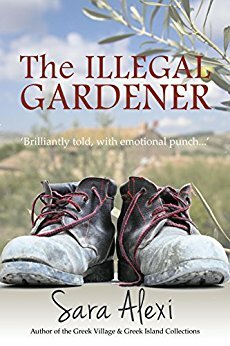 ***(Free for Kindle Unlimited) The Illegal Gardener (The Greek Village Collection Book 1) (Deal, Not Free) by Sara Alexi. Price: $0.99. Genre: Fiction Deal, Sponsor, Travel, Shades of Steinbeck and Bradbury. Rated: 4.8 stars on 999 Reviews. 290 pages. ASIN: B008LMT78U. Posted on November 17, 2017 November 17, 2017 Author KibetCategories Free Travel Kindle BooksLeave a comment on Kindle Travel Deals for Thursday! *Speechless In Spain: Learning Spanish in Madrid and the Lessons I Learned (Deal, Not Free) by Mercedes Luna. Price: $7.99. Genre: Non Fiction Deal, Sponsor, Biographies & Memoirs, Travel Memoirs. Rated: 5 stars on 7 Reviews. 156 pages. ASIN: B075PR5LWB. Posted on November 10, 2017 November 10, 2017 Author KibetCategories Biographies, Free Travel Kindle Books, memoir, TravelersLeave a comment on Kindle Travel Deals for Thursday!